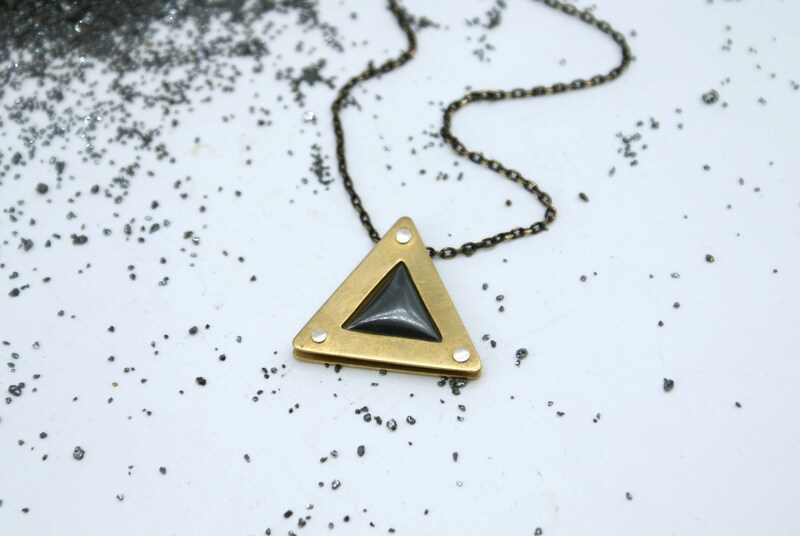 This necklace features a sweet triangular hematite cabochon that is suspended between two triangular brass plates. 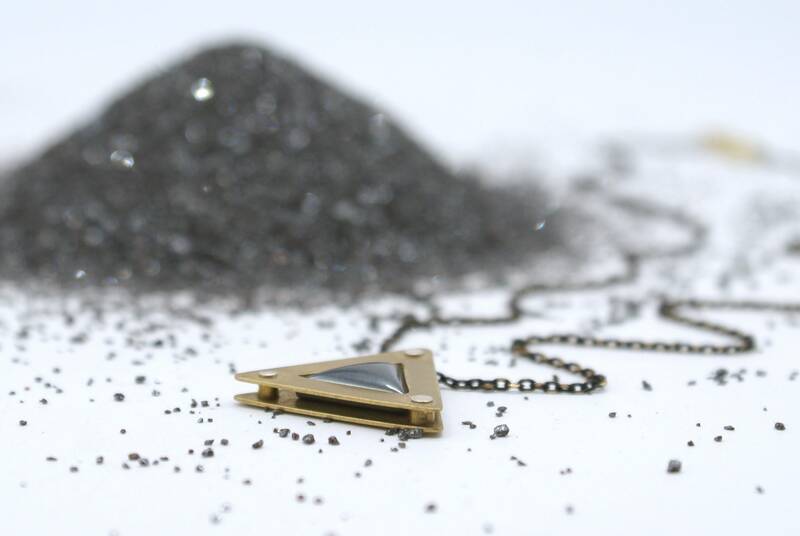 The plates have been riveted together with sterling silver spacers so that the gem can be seen from all angles. 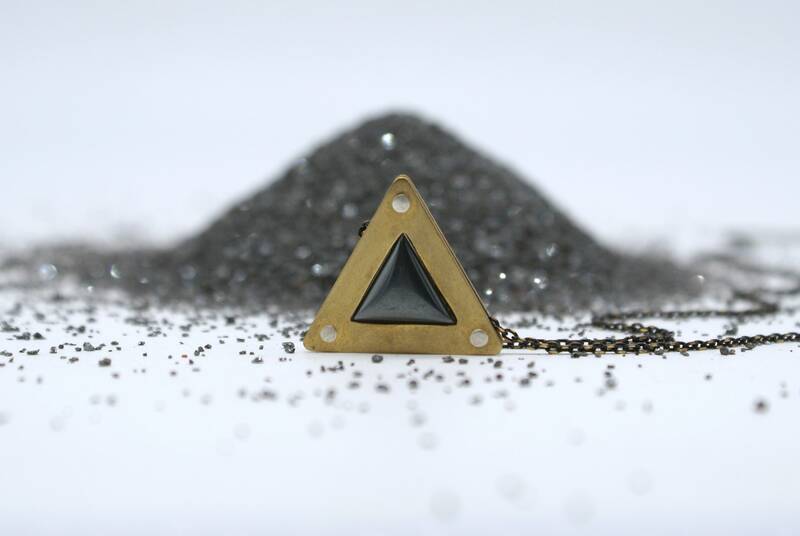 Each side of the triangle measures approximately 2 cm and is suspended on a 18" blackened brass chain. 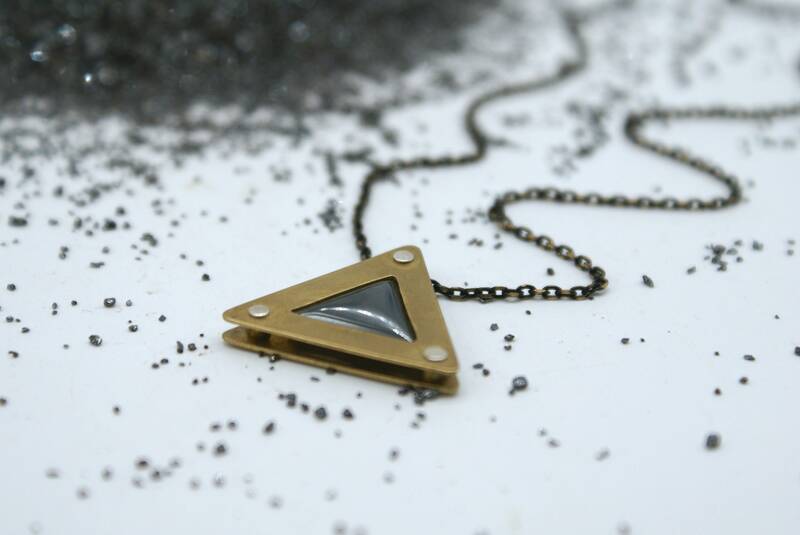 Finished with a lobster claw clasp, this piece is ready to ship!